In our fast paced world, it can be difficult to sit down and have a quiet time with your Heavenly Father. 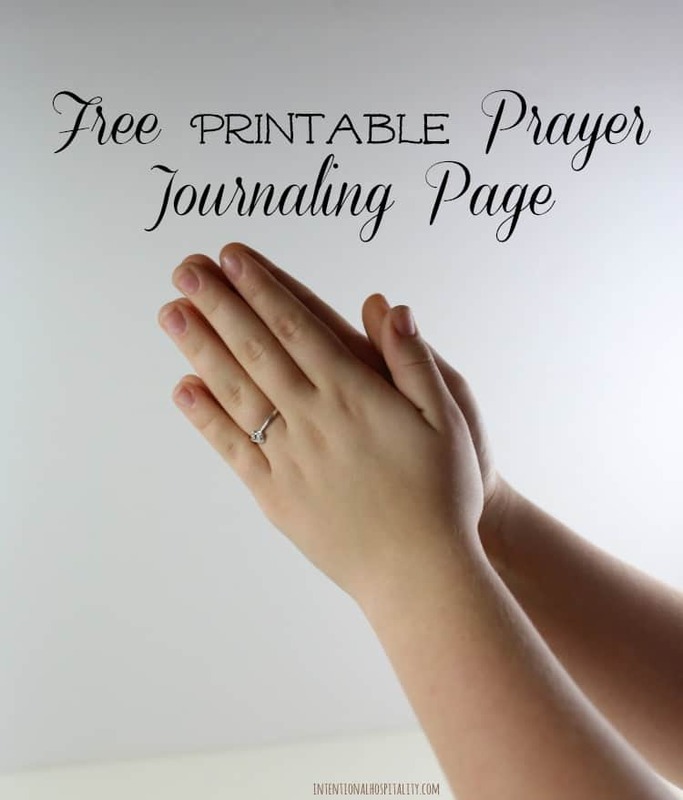 I have found one of the best ways to carve out this time is to include writing my thoughts and prayers to Him as part of my Morning Routine and I would like to share this free prayer journal printable I created with my readers. A prayer journal is a record of your conversations with God. It’s not just a list of your request but it will also include what God is teaching you, revealing to you, and your own praise and confession to Him. When you write down your prayers and then look back at how God answered or did not answer your prayers you will be building a record of God’s faithfulness in your life over time. It will help you grow a closer walk with the Lord when see how you change in response to your circumstances and in response to what God is doing in your life. For my Filofax prayer journal section I have created five areas of importance that I want to concentrate on when I am writing in my prayer journal. Inspirational Scripture section is for writing down a verse that stood out in my quiet time. If I write it down I find that I meditate on it more through out my day. Prayers For Others is where I write down needs of others such as healing, salvation, protection, a closer walk with God and so on. Talks With God is where I write down in conversational form what ever God brings to my mind to pray about. This could be about events going on in my life, things I’m learning in bible study, or questions I have for God. It’s my time to sit down with my Heavenly Father and have a talk. Lord Help Me is my confessional time. If we confess our sins, he is faithful and just and will forgive us our sins and purify us from all unrighteousness. 1 John 1:9. After confession comes prayer for help not to walk in that sin again. Thankful For is a time of praise. God gives us so many blessings and reveals so much of Himself to us through this world that it is only fitting to have a section to write down all that I am thankful for each day. I have designed my prayer journal printable to fit my A5 Filofax. For more on why I chose an A5 Filofax be sure and visit my page How I Found My Perfect Planner. 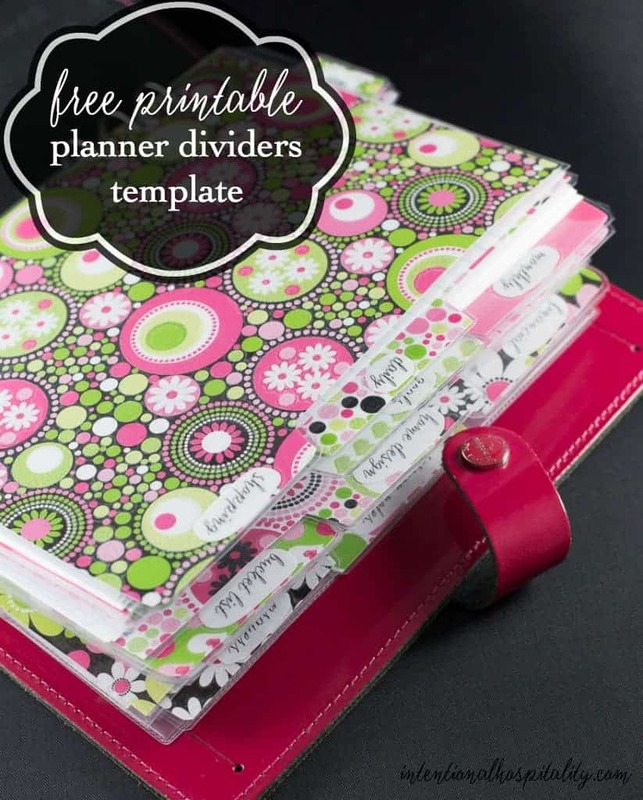 If you would like to pretty up your planner’s dividers it is easy to make your own A5 planner dividers by using my free template in the post Free Planner Dividers and Tabs Just download the pdf and print using cardstock or scrapbook paper. You can make the full size side tabs or the 1/2 sheet top tabs. thank you for the wonderful template! I love it! it is definitely a BLESSING!!!! You are very welcome. I’m excited to know they are a blessing to others. Your blog is beautiful and I love this printable!! Thanks for sharing! Thank you very much. This is a blessing! Cynthia, You are so welcome and thanks for letting me know you enjoyed it. I want to do a prayer journal for myself, but the sheet size that i want to use is a smaller book. The one i want to use is where u can put 2 printerable forms on a 11×8 sheet of paper. can u tell me how to do it please? I think you can go under your printer setting and click 11×8. But Im not sure. Im not home now but if you cant get it to work this way Ill email you the original and see if we can get it to work that way. You gave me the idea I need to do this size as an option on my site also. I love this and I tend to use it for my 1st through 5th grade Good News Club children as part of their quiet time journals. Just wish there was a separate design for the boys. Would you mind my recreating it for them? Thank you for this lovely page. 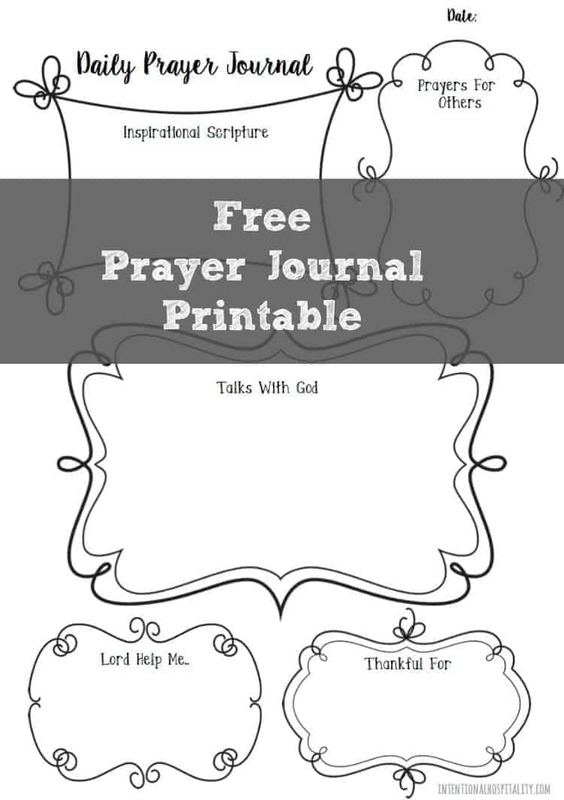 I am a teacher at a christian school and have a group of 10 girls in my advisory, I was looking for something for the new year to give them to help them with their walk with the Lord and I think I will print these pages and give them to them as a journal. They are Beautiful. Thank you. Thank you for this! I’m really enjoying using this in my journaling. I am so happy to have found your site this morning. I had put in a search for a printable to journal my prayers on and voila! God is faithful and you are more than generous to gift all of us with the fruit of your talents. I have been writing my thoughts to God for a very long time, since the early ninety’s, and I will always continue to do so. I call my thought journaling to the Father, my love letter’s to Him. Once again thank you Cynthia, and may God bless and keep you. 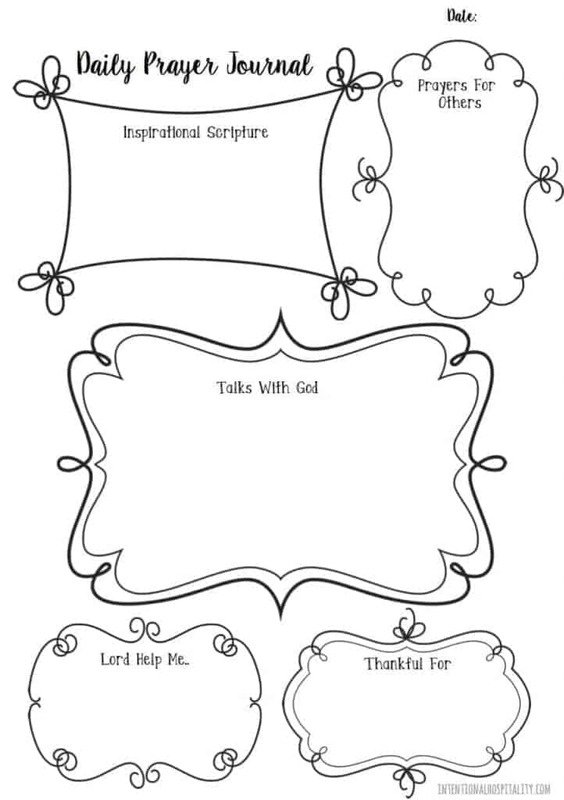 Thank you for sharing these great printable so. I’m new to using a planner, so really enjoy being able to download & print pretty things to use in my planner. Bless you for your sharing heart!